One-time corporate training is the echo of the past, as more and more companies invest in a long-term learning experience for their employees. As it may be an important differentiator and a powerful employer branding tool, decision-makers should pay much more attention while approaching learning and development strategies. We have listed the four most important learning and development trends to be followed in 2019. See what the future holds for the L&D sector. Engagement rates for videos are higher than those for other types of content. For instance, the average engagement rate for Facebook ads is 3.91% while that for Facebook video posts is 6.01%. The costs of producing animation or any other video content are getting lower and lower. Online editing tools and advanced mobile devices make it really easy for anyone to create video content – it doesn’t require any special skill set anymore. Video is a fantastic way to capture the attention of your audience and provides an enhanced learning experience. It has been established that video content is conducive to triggering analytic thinking among students and is more effective in triggering discussions. Don’t make it too long – you don’t want to bore anyone. If you can’t cut the video short, at least make sure it’s interactive to capture your employees’ attention and keep it for longer. Use transcript: that would make the video more inclusive and accessible when someone can’t use speakers or headphones. Pro tip: Make sure all your employees can benefit from video courses. Translate the content, add subtitles or invest in multilingual voice-overs. Read more about multimedia and video localization here. In most cases, the proper knowledge of the product you’re selling, or so-called “hard skills”, is the number one priority when training a new employee. But if you really want to stand out from other companies, invest in your employees’ soft skills training too. Sales, customer services, HR and team cooperation, are only some of the competencies you can boost by engaging your employees in a well-designed soft skills e-learning course. Not only will it help your team to have better conversations, but it will also help them to formulate more detailed goals, respect each other, diagnose and analyze prospective clients’ or partners’ needs, and be more flexible when trying to satisfy those needs. Pro tip: incorporate culture and language into your soft skills training. Culture-based behaviours are deeply rooted in all of us. Identifying such behaviours and being able to respond to them properly may be the key determinant during a sales pitch or negotiating a contract. Educators have been advocating for more personalized learning experiences for decades. While they’ve been focusing on developing new standards in academic education, imagine what can happen if you use that aptitude in your corporate L&D strategy. The objective of personalized e-learning modules is to align perfectly with your company’s business goals and your employees’ skill set, predispositions and experience. Why should you invest in customizing e-learning models in your company? Mostly to increase your learners’ engagement in the course – that always leads to better results. How can you personalize the corporate L&D path? Create learner-centred goals instead of focusing on overall company-centred objectives. Analyze each learner’s skill set and experience to identify deficits in their knowledge. Always provide extensive feedback and offer a learning path based on the previous results. 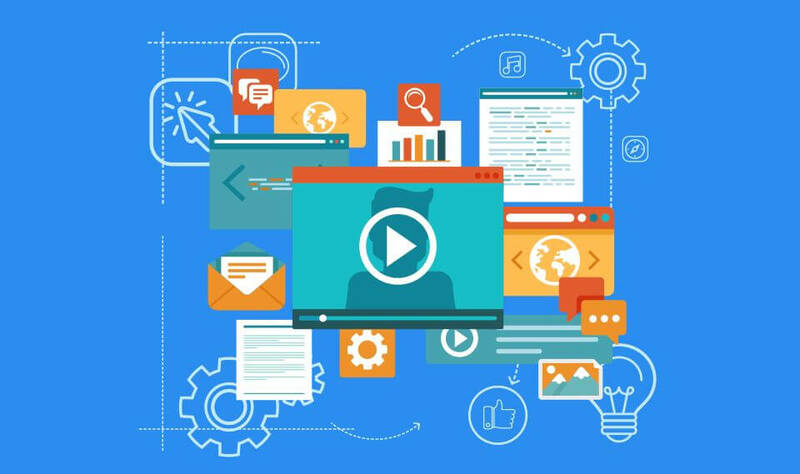 Create e-learning courses with multiple modules (textual, visual, video) and let your students choose the multimedia they prefer to work with. Pro tip: Make the learning experience even fitter for your employees by meeting their language and cultural needs. The course will be much more effective if the scenarios are realistic culture- and language-wise. You don’t want your German sales team to learn how to accurately price services in yens, do you? Don’t “just” translate the educational materials – localize the whole e-learning course to adapt it in terms of language and culture. The buzzword of the decade – artificial intelligence – has boldly stepped into the e-learning world. Artificial intelligence enables machines to learn from experience and adapt to a new environment. What is more, it makes things interesting. It has already been incorporated by many industries, e.g. finance and banking, IT, telecommunication and entertainment – so why not use it in the L&D sector? It’s already pretty common to include chatbots in e-learning courses. But AI can take those conversations one step further and create virtual tutors. What is more, those tutors have literally no barriers when it comes to fields they’re teaching or the sophistication of the subject. You can teach anything you want anytime you want just by clicking the right buttons. AI’s dynamic nature definitely makes learning more fun. It offers learning scenarios that cannot be created in outdated ways of learning. Changing a fixed environment for an ever-developing setting will make your courses more alluring and stimulating. Hence they will attract learners and keep their attention for longer. These four trends clearly show where e-learning is heading. The future of your company and your employees’ performance relies on personalization, social learning, communication and artificial intelligence. Introducing these into L&D strategies will result in boosting your employees’ performance and productivity across the whole organization. Contact us to learn more about proper localization of e-learning courses. Languages And Digital Media- Why are Facebook, Twitter and Instagram Using Translate?